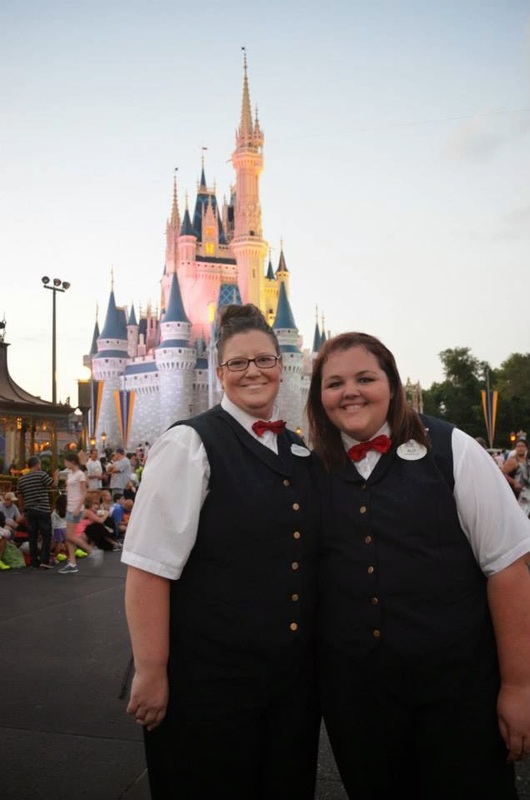 I had the pleasure of interviewing Heather to learn more about her experience as a Parade Audience Control cast member during her college program! 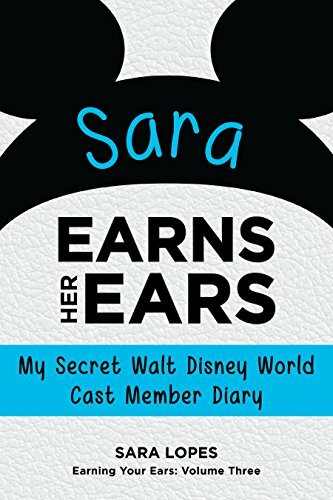 It's interesting that they offer this role on its own in Walt Disney World, because in Disneyland it's automatically included for everyone who works an attraction. Let's here what Heather had to say about her journey! I was PAC (Parade Audience Control) on Main Street U.S.A. Basically we were in charge of setting up and taking down the parade routes from Main Street to Frontierland depending on what position we were assigned. We did street entertainment (hula hoops, etc) with the guests, answered questions, gave suggestions, worked in the Theater with Mickey, participate in Flag Retreat if we were selected, AND did crowd control for the fireworks each night at The Magic Kingdom. Super awesome job! A typical day at work, for me, meant arriving about 5:30 pm, being sent out to Main Street to visit with the guests or begin laying down the TONS of tape needed along the parade route. If we were south side that meant we were working on Main Street/ the Hub area. If we were West side then it was Frontierland/Liberty Square. At 7 pm we would divide into our sides and head to separate meetings to get our positions for the set up and break down of Disney's Electrical Parade as well as the number we were to report to directly after to help with the crowds during Celebrate the Magic and Wishes. Before parades and Wishes began, we would stand out on the streets and control the crowds to keep people moving through open walkways. When all the chaos was over we would have a quick meeting backstage, take a 20 minute break then head out to the same positions and set up for the second Electric Light Parade. Clocking out time was anywhere between 11 pm-12 am depending on the show schedule. Flag Retreat was very simple marching, mixed with crowd control, and knowing what stance to take at what time. I didn't really have a plan for what role I wanted. I just knew that I wanted to work at The Magic Kingdom because its my favorite. Luckily, I loved it. Wish granted. My absolute FAVORITE part of my job was talking to the guests. They loved any tidbit of Disney advice we could share or any fun stories we to tell. 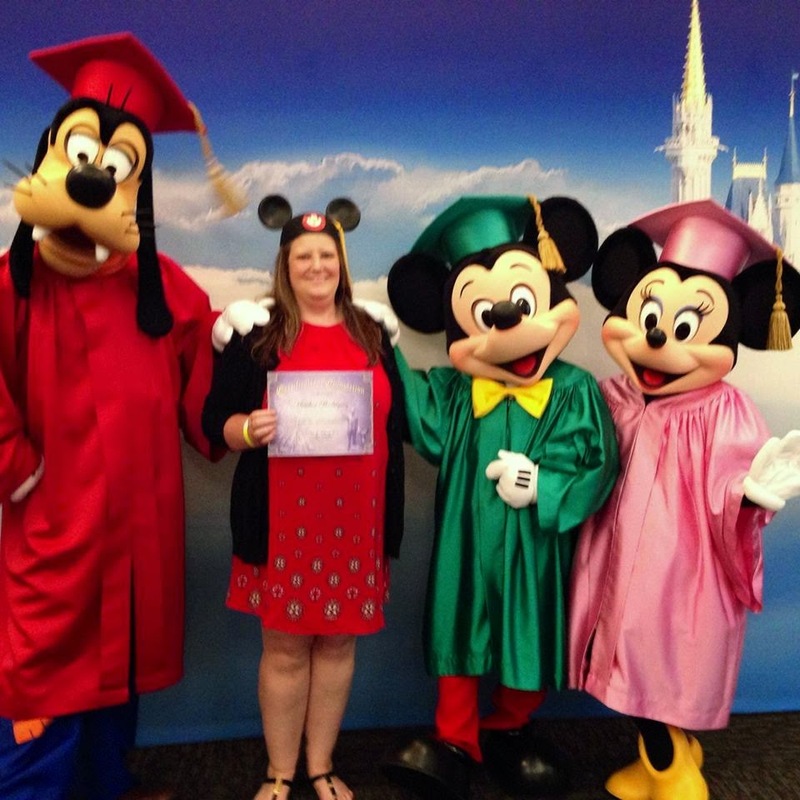 In return I had the chance to learn what brought these awesome people to Disney World. We took pictures for them and sometimes they even wanted us in them too! Super cool. Another awesome thing was being able to make their lives easier...usually. Helping them find a nice spot to view the parade, helping guests get in to the rose garden to do their proposals (MAGICAL), listening to all the kids sing along with Frozen during Celebrate the Magic and see the fireworks. From a back stage perspective it was my awesome coordinators and PAC members that made the job never feel like work. I couldn't have made it without them. The worst part is a tie between the heat from standing out in the sun, humidity, and rain (when they say always have your rain poncho they aren't kidding. You will use it!) and the rude guests. When people go to Disney they expect everything to be perfect always since they pay good money to visit. Unfortunately as we all know it can't always be and I guarantee I've been cursed out in a variety of languages! My favorite Magical Moment was helping a Marine, his parents and his soon to be in-laws, surprise his girlfriend by proposing to her in the rose garden during Wishes. She was totally surprised. The parents got to see it go down and a Disney photographer came in to catch the whole thing on film for them. I felt honored to help out with that memory for them. I wanted to do the DCP because it was always my dream to work at Disney even if for a moment. I'm 37 so it shocked people that I took a semester away from school to do something they thought I was "too old" for. Best decision of my life. I wish someone had warned me about all the giant wild turkeys walking around Chatham! OMG they were huge and everywhere. Advice that I have for anyone interested in working PAC is this: remember to be strong and as kind as possible. The guests will try to rattle you but, if you stick to what you are taught you can do it. Always ask for help BEFORE you go set up on the street regarding your position. Everyone is busy and guests have a thousand questions so be prepared! Be prepared to walk, stand, and be out in any type of weather all the time. Lastly, HAVE FUN! This is an opportunity to precious to not enjoy it. When you go back home you will miss it more than you can even imagine. Oh yes I forgot...only the guys look good in those PAC uniforms LOL. If you are interested in doing the DCP just do it! Don't be afraid to leave home and take a chance. You will make more friends than you can imagine. You will have so many adventures that you never expected...Wal-Mart being one of them. You will change and grow in so many ways. If you have the chance to extend and you can do it...stay! I'm married so I came home but, I would have stayed if I weren't LOL. Lastly, don't worry if you aren't majoring in Recreation or Tourism that you won't fit in. It takes all types to make magic. You only live once! I enjoyed working with Heather as a Parade Audience Control Cast Member. I know she enjoyed her experience just as much as I did. I'm happy to know she was one of the members to share her experience to the media and hope others would want to experience the same magical time.